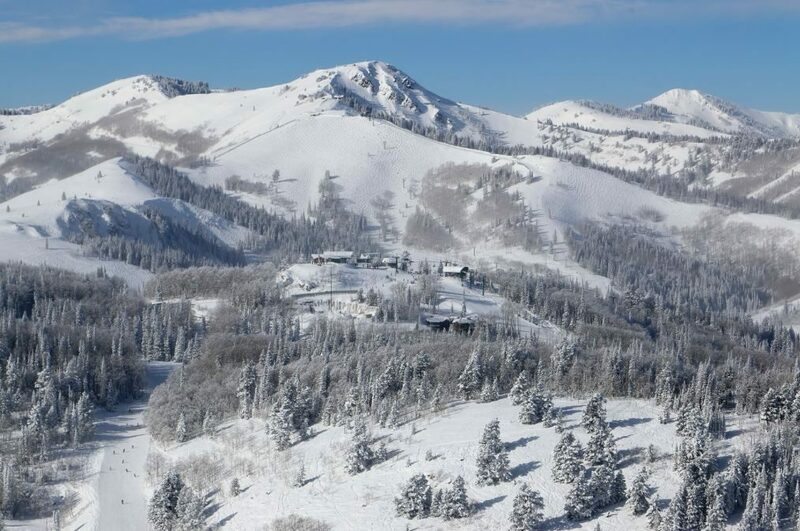 Deer Valley Resort is one of seven ski areas in the Wasatch Range and among 14 in the state of Utah that are touted for having The Greatest Snow on Earth®! What about Deer Valley Resort makes it so different, luring more than 60 percent of its guests back, year after year? Simply put, it’s due to its customer-centric focus. Here are eight ways that you can experience the Deer Valley Difference during your visit. #SkiTheDifference Trail Series: Lady Morgan Bowl from Deer Valley Resort on Vimeo. 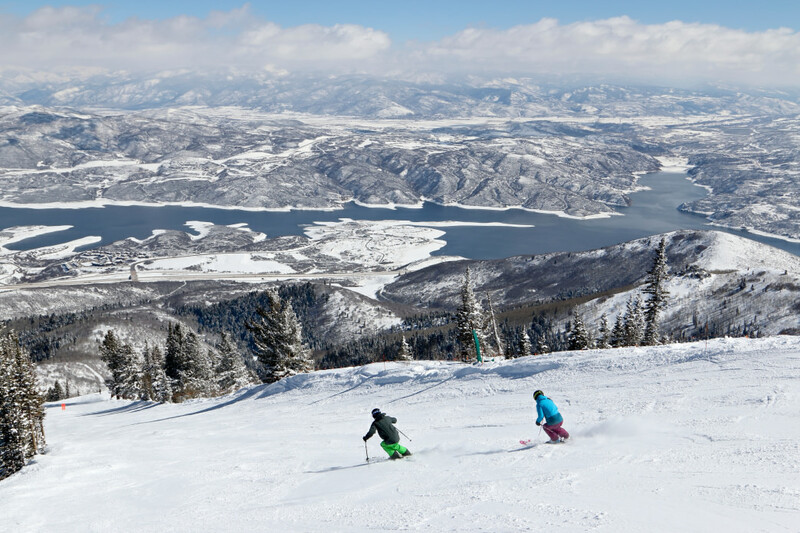 Deer Valley® wants you to have a ski experience unlike any other. 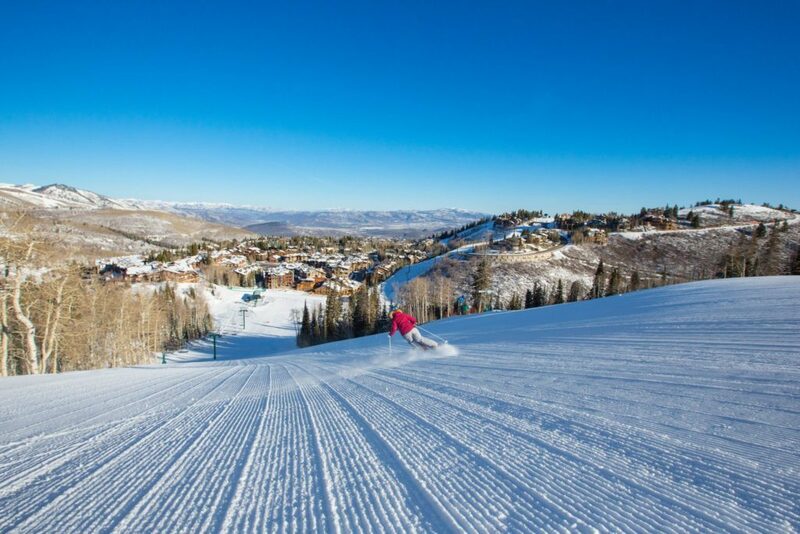 Expert and intermediate skiers can take part in one of Deer Valley’s complimentary Mountain Host tours dedicated to informing you of the resort’s history and revealing some secret powder stashes. 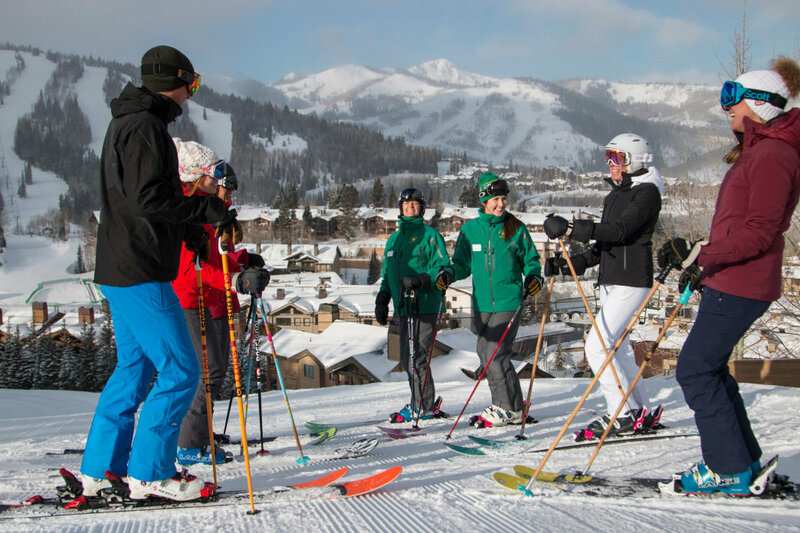 Or if you really want to spice things up, check out Deer Valley’s Ski With A Champion Program—opportunities to ski alongside Olympic skiers don’t come around often, but this program offers just that. How will you create your Deer Valley Moment? 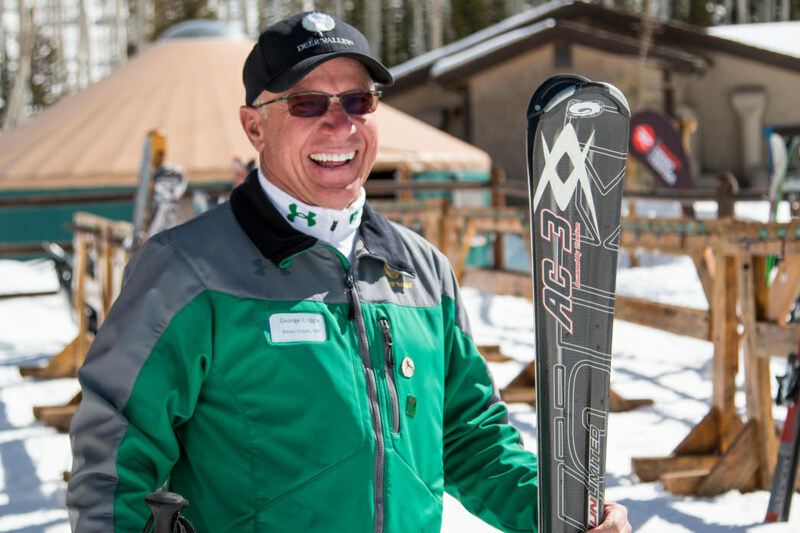 A ski valet will greet you curbside at Deer Valley to help with your equipment. Let’s be honest: One of the biggest hassles of skiing is dealing with the equipment. 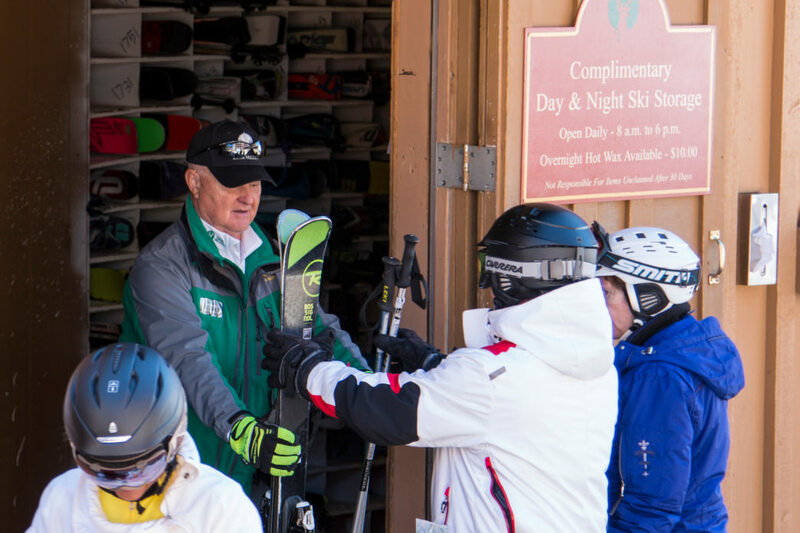 The ski valet service provided by Deer Valley helps to make this process easier. Upon your arrival and departure to Snow Park Lodge, there will be someone to help with the unloading and loading of your equipment. Skis and poles will be placed aside while you park and you can grab everything when you’re ready to hop on the lift. Heading in for lunch? Resort employees will be there to take your skis off your hands, so you can focus on the important things, like eating. Deer Valley’s complimentary ski storage means you don’t have to lug them with you. Each base area at Deer Valley (Jordanelle, Snow Park and Silver Lake) has a secure area dedicated to overnight ski storage, so you no longer need to deal with schlepping your equipment to and fro. You can drop your skis off anytime before 5 p.m. and pick them up as early as 8 a.m. the next day—there’s no need to worry about missing out on any fresh powder. Empire Canyon Lodge offers complimentary daytime ski storage as well. Deer Valley limits the number of skiers to keep the mountain from getting too crowded. Deer Valley knows that crowded slopes aren’t fun for anyone. The number of lift tickets sold are restricted daily. Depending on weather, number of lifts open, and lodge capacity, ticket sales may fluctuate. But rest assured, you won’t be waiting in long lift lines nor fighting for space on the slopes during your visit. Deer Valley recently launched a first of its kind program called DV Text. Simply text any question concerning your Deer Valley visit to 435-538-2900 and a real live human being will get back to you promptly. No need for phone calls while you’re at dinner or dealing with slow Internet speeds to look up an answer to your pressing questions. You can request anything from the snow report to a shuttle pickup and can even ask for dinner reservations. Keeping guests happy is the number one priority at Deer Valley. You’ll find that Deer Valley’s staff are more friendly and helpful than anywhere else. In large part, this is due to its three-circle model of care: taking care of guests, taking care of the resort, and taking care of each other. It’s this final step that allows staff to refill their tanks so that they can deliver quality service day-in and day-out. It’s no wonder that Deer Valley is consistently ranked number one in guest service by the readers of SKI Magazine. Dread the ski boot shuffle after a long day on the hill—that awkward stumble from the base lodge to your vehicle? Deer Valley does too. That’s why they offer a shuttle service from the main base areas to your car. You’ll find pick-ups from Snow Park Lodge and from the Jordanelle Express Gondola base, set up exclusively to transport you to and from your vehicle, so you can save your legs for skiing. Deer Valley restaurants like The Brass Tag offer incredible dining without having to leave the resort. The food at Deer Valley is some of the best in the country. And it’s not just good for "resort food," it’s simply great food. 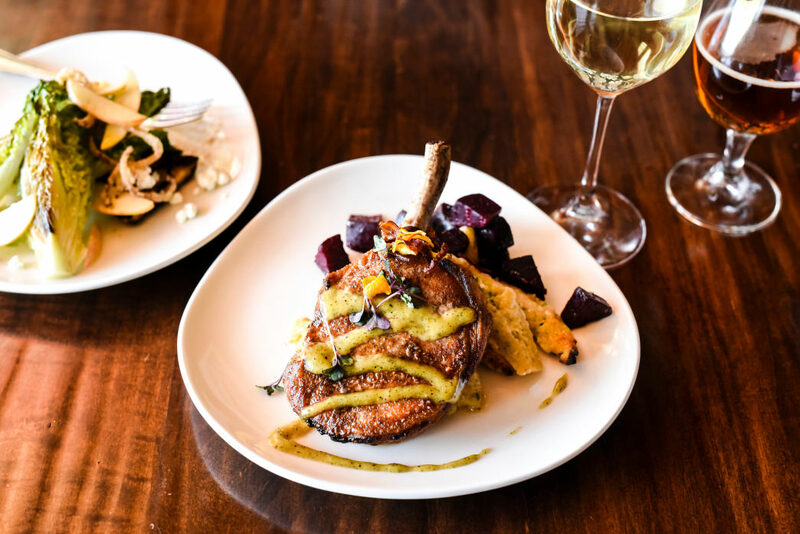 You’ll find several restaurants nestled in the resort, like the Royal Street Café or Mariposa at Silver Lake or The Brass Tag (for après-ski and dinner), but even the lodge food options are delectable. For a unique choice, try Bald Mountain Pho in the Bald Mountain Room of Silver Lake Lodge. Deer Valley takes pride in knowing that on vacation you will create memories to last a lifetime. Its focus expands well beyond the skiing to ensure that every moment spent at Deer Valley Resort is one to cherish. Come and see the difference for yourself. I have not been to all the ski areas in North America, but I have been to a good deal of them. Deer Valley by far is the best run of all the ones I have been to over the years. I can also say the two times I skied there … are in my top 5 best experiences! Congrats and keep up the great work! Just skied Crans Montana… $60 a day lift tickets…vs $120. I enjoy Deer valley but have never had any valet help me with my skis …. Deer Valley folks, thank you for a wonderful 1st year of skiing! 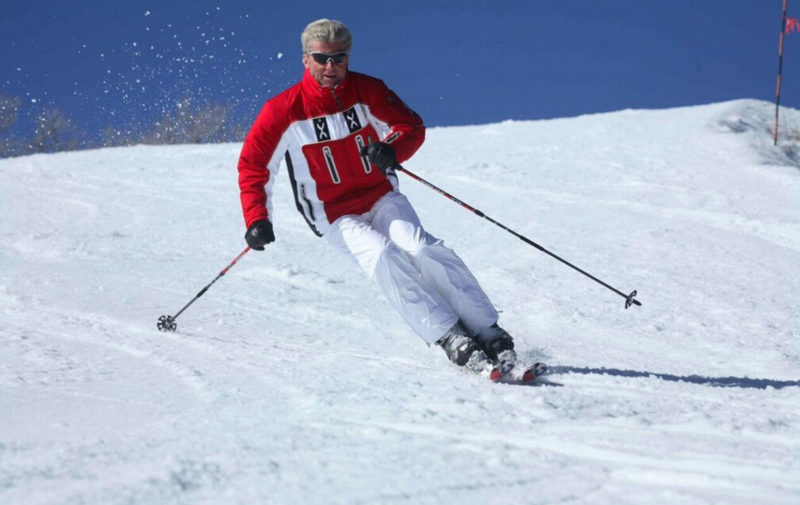 At 72, I thought I’d never ski but my neighbor told me I was wrong. She told me to get in Jan’s, buy my ski equipment and then go take a lesson at Deer Valley. So on December 3rd, I got with your instructors at Deer Valley on opening day. We began skiing Success & Ontario over and over again until I “got it”. During the past six – eight weeks I started hitting all the “blue” runs atop Flagstaff mountain. I even found the courage to begin taking runs on Hidden Treasure which at one time seemed like a big hurdle I’d never get over. So, thank you for the season. Your entire staff from the teachers, ski storage, parking lot guides, guides atop the mountains, ticket sellers, and all the others always have a smile and bend over backwards to give all the guests a truly wonderful experience. Great Year. Thank you. I have only been on two ski trips in my life (within a three year span) and fortunately and maybe unfortnately I’ve only been to Deer Valley Resort…. my boyfriend likes to tell me normal people’s ski experience aren’t this fancy. LOL! You guys are setting high expectations if I go any where else.. valet skiing is a must and everyone is so friendly! It’s always an amazing time! Well worth paying the premium! Bob, the valet is not for us but for our loved ones so that they may have a more comfortable ski experience which allows us to rip! Turkey chili For lunch!! Need I say more!!! Great skiing and no snowboarding when I was there a few years ago. Been many, many places…none compare to DV…they nail it!!! Hello from your new Snow Park resident. Can’t wait until ski season 2017-2018 ;). Deer Valley resort rules ! Great resort! I skied there and everything you wrote about was on point!! To top it off we had a moose walk across the slopes. Very spectacular!